13 May, 2015 Royal Palm Golf & Country club experienced the launch of Sony Professional Camcorder & 4K cameras followed by the workshop for the professionals. Idea was to create product awareness among traders, professionals, and users. “Launch of these new camcorders in Pakistan market reaffirms Sony’s commitment to consistently deliver superior and innovative products and technologies to its customers. These camcorders can be used in a wide range of applications from news gathering and live event coverage to documentaries and much more. They provide customer creative freedom” said Talha Aslam-Head of Marketing INOVI technologies. 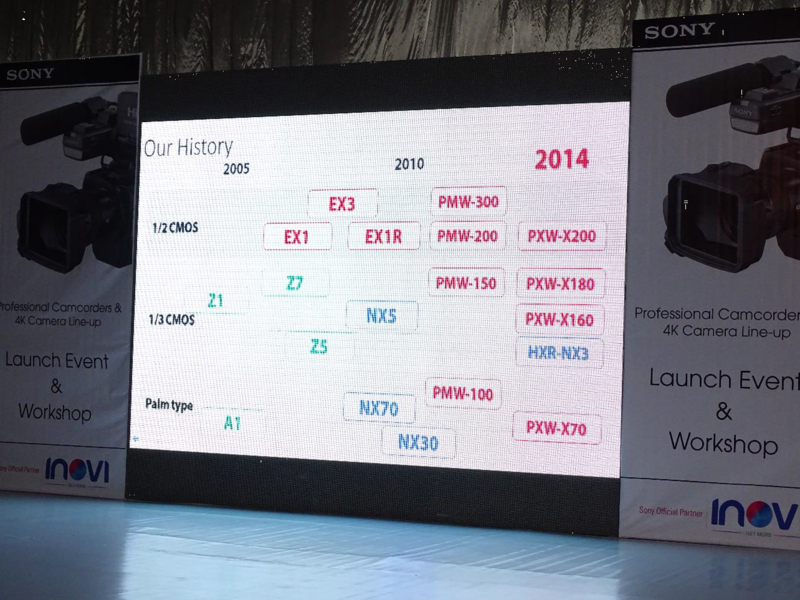 Presentation was delivered about each of the camera models launched. technologies offered by the camcorders and 4K camera. present to have their chance of Live Product Experiencing and feedback.